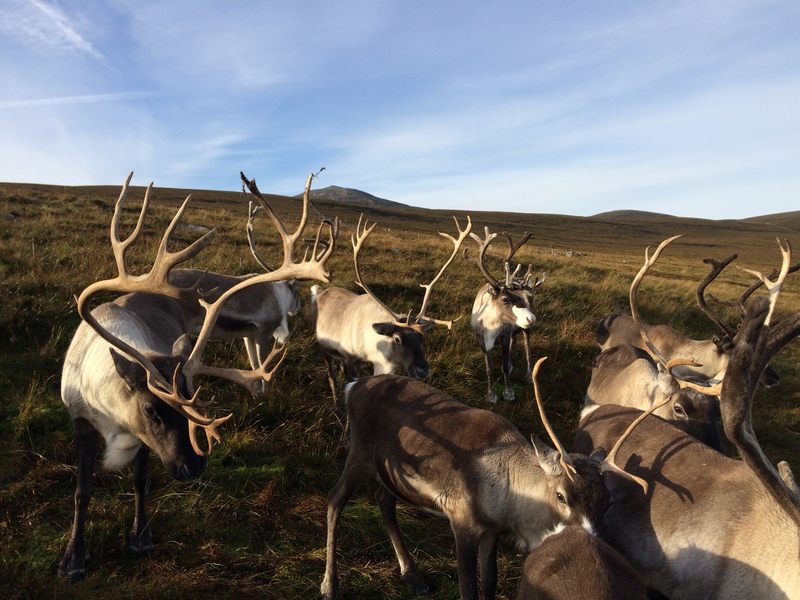 It’s an exciting time of year here at the Reindeer Centre as we are now well into the rut. Our main breeding bulls are looking fantastic with their bony antlers, thick necks and chubby bellies. The girls are also looking brilliant after a summer out on the free-range getting lots of tasty morsels and running around on the hills. We’ve now got a few bulls in our enclosure with their selected cows and are hoping that they do their one and only job well and we will have lots of babies next year. As most of you know, our herd numbers around 150 and we like to keep it that way. We use the enclosure during the rut to manage our bulls and cows to make sure we get enough calves, but not too many. The single cows we are not breeding from, such as Lilac, Tuppence, Fonn and co., are put out onto the free-range and politely told to go and fend for themselves. Females with calves are kept separate from the bulls, but still in the enclosure. As well as the rut, we are currently halter training the calves so we need them on the hill, but we give most of the mums a year off between calves. There are roughly 4 large parts in total to the enclosure. The cows and calves have one, and the other three each contain one main bull, his cows and sometimes a couple of castrates and young bulls. 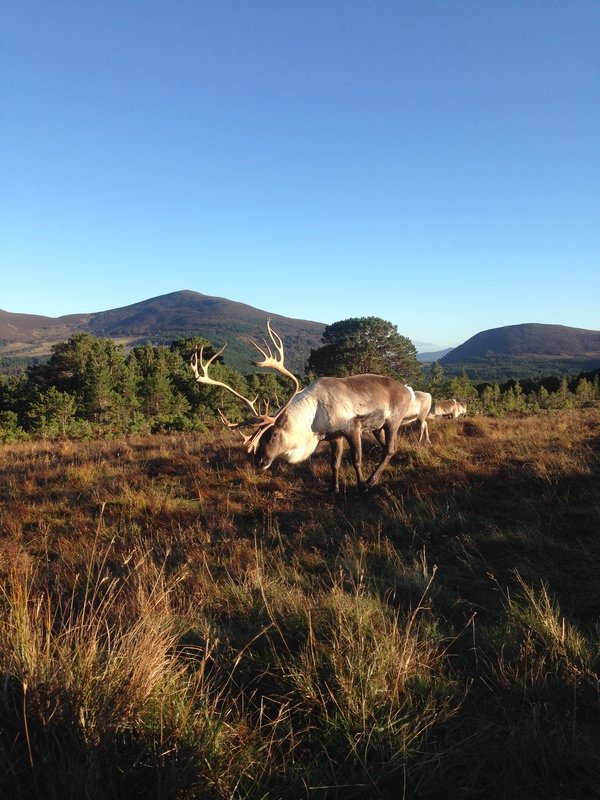 The three main bulls in the enclosure this year are Balmoral, Bandy and Ost. We have a couple of castrates and young bulls in with the main bull to keep him fit and on his toes. Whilst the castrates and young bulls will never challenge the main bull for dominance, he will chase them away from his ladies if he feels they are getting a little too close for comfort. It keeps our younger boys in check and means our bulls work off that belly they have been building over the summer. 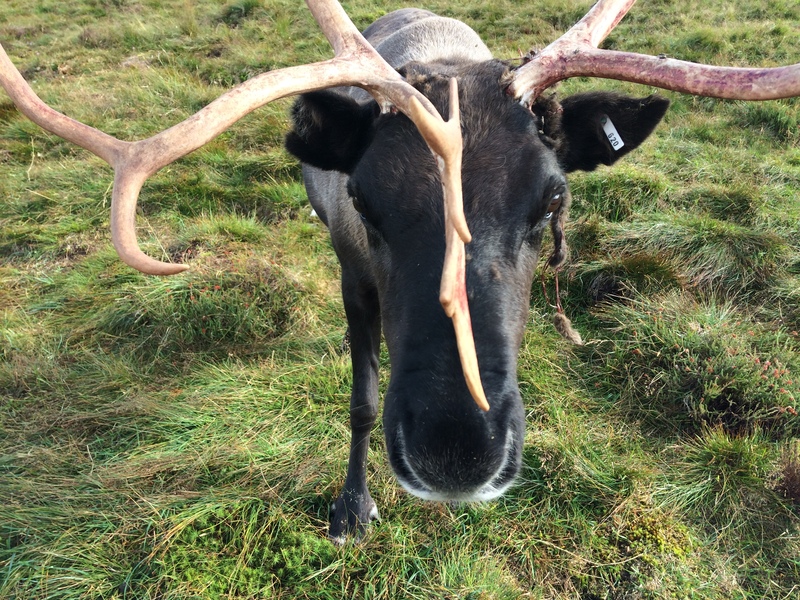 Handsome Bovril, with his antlers! We also have a bull, Bovril, out on the Cromdales with some younger girls. 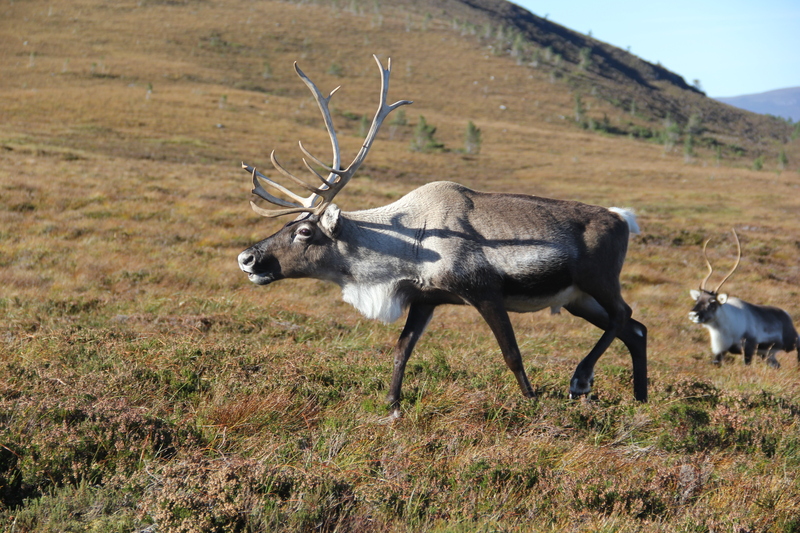 He’s a very lovely boy and his antlers have been cut off (like getting a hair cut when the antlers have hardened!) so he is not too much of a worry if you come across him. 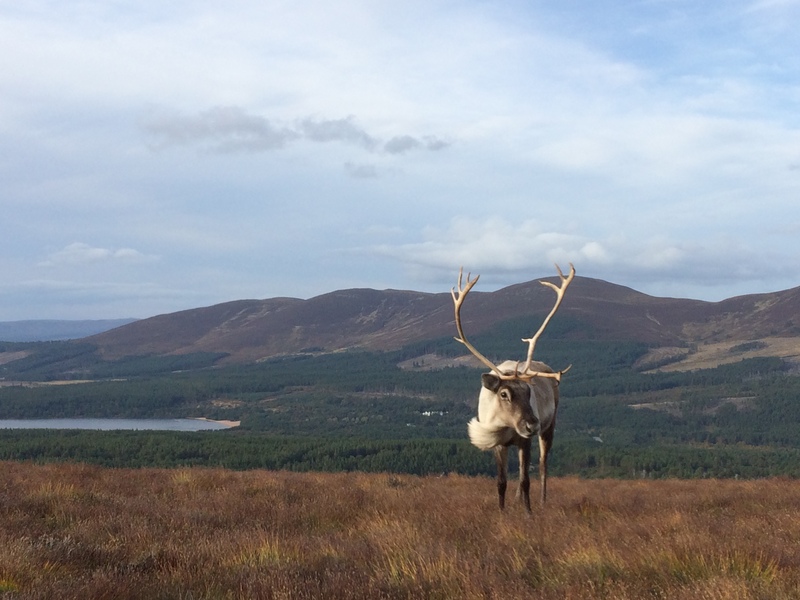 Recently Tilly had a very long walk when Bovril’s 8 cows turned up on the road between Bridge of Brown and Tomintoul! I think Bovril was too fat to follow the girls so hopefully they have been reunited up on the hills and he is keeping them in check now. Balmoral peeing on his legs to make himself extra-attractive to the cows… men out there, please note that this doesn’t work for women! Hopefully the boys will perform and next year we will have lots of cute little babies again!